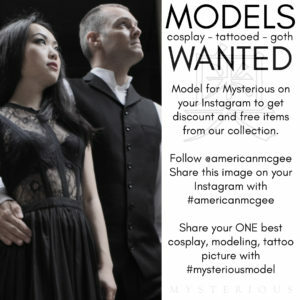 Mysterious is a new online shop where you can buy fairytale inspired fashion items such as handbags. 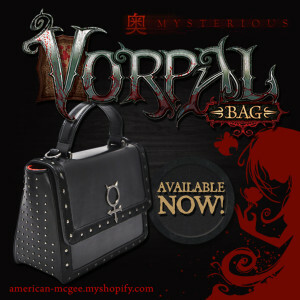 The first product available is The Vorpal Bag, a black leather handbag inspired by Alice in Wonderland. Enter Mysterious to learn more. UPDATE: The Mysterious Store is OPEN. CLICK HERE to enter. 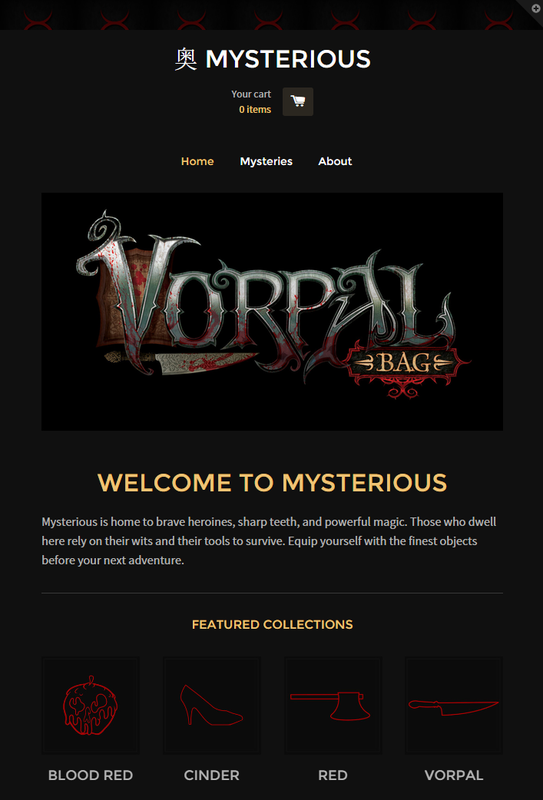 The web store for Mysterious is nearly complete. If all goes well, we hope to open the shop June, 2015. Here’s a sneak peak at the store’s front page. Our first product will be The Vorpal Bag, of which there will be only 200 of the 1st Edition. If you miss out on the 1st Edition, fear not – for we’ll release new editions of this handmade leather bag every 3 months. Additional bags, inspired by other beloved fairy tales – Red Riding Hood, Cinderella, and Snow White, to name a few – will be made available, one new bag every couple of months.